¶ 1 Leave a comment on paragraph 1 0 In October 1996 the University of Wyoming became the first school to apply and be approved for program approval. 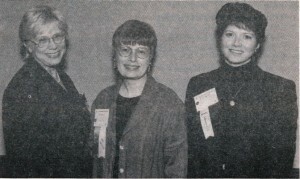 Messiah College and Kansas State University followed and were approved as well, and all three were recognized at the 1996 NCFR Annual Conference. ¶ 2 Leave a comment on paragraph 2 0 The CFLE Standards Revision Task Force was formed and met to clarify the standards and criteria needed for certification. Their task was to develop more definitive review criteria and identify measurable minimum standards. ¶ 3 Leave a comment on paragraph 3 0 NCFR counted 200 new members brought into the organization by the CFLE program since 1994, providing a steady source of revenue to NCFR and strengthening the sections, especially Education and Enrichment. Revenue from CFLE products (curriculum guidelines, the life span poster, and application packets) produced $120,000 per year. ¶ 4 Leave a comment on paragraph 4 0 The Academic Program Review was expanding by request of the institutions themselves. A more standardized review process was being studied.